IT Inter Connectivity « What Happened to the Portcullis? This edition of WCO News features a special dossier on the theme chosen by the WCO for 2018, namely “A secure business environment for economic development”, with articles presenting initiatives and related projects that contribute to creating such an environment. The articles touch on authorized economic operators, national committees on trade facilitation, coordinated border management, performance measurement, e-commerce, data analysis, and partnerships with the private sector. For sub-Saharan African readers, look out for the write up of the Customs systems interconnectivity and the challenges and opportunities for Customs administrations in the SACU region. Other highlights include articles on Customs systems interconnectivity in the Southern African Customs Union, on the experience of a young Nigerian Customs officer who participated in the Strategic Management and Intellectual Property Rights Programme at Tokyo’s Aoyama Gakuin University, on how the WCO West and Central Africa region is using data to monitor Customs modernization in the region, and on the benefits that can be derived by facilitating transit procedures. The WCO Policy Commission, held in Moscow, Russian Federation, from 5 to 7 December 2016 under the chairmanship of Mr. R. Davydov, brought to the fore the key role of Customs in creating a sustainable and efficient e-commerce ecosystem, reviving-up the exchange of data between stakeholders and enhancing risk-management through electronic interface. The other main topics discussed during the Commission pertained to trade facilitation, security, the enhancement of the Customs/Tax cooperation and the modernization of Customs administrations. The newly established WCO Working Group on E-Commerce will work to tackle the different dimensions of e-commerce by collecting and exchanging best practices in the field, stocktaking and leveraging some of the ongoing work being carried out by other entities and drawing up proposals geared towards the development of practical solutions for the clearance of e-commerce shipments, including appropriate duty/tax collection mechanisms and control procedures. Concerning the in-depth discussions on Custom /Tax cooperation, the WCO issued this year “Guidelines for strengthening cooperation and the exchange of information between Customs and Tax authorities at the national level” and will continue working on topics of common interest for Customs and Tax experts such as transfer pricing, drawback and Illicit Financial Flows (IFF). During the Commission, WCO Secretary General Kunio Mikuriya, confirmed the WCO Theme for 2017 “Data Analysis for Effective Border Management” and stressed the impact of the digital revolution and the need to address promptly the challenges posed to the global economy. The Secretary General invited all the WCO Members to promote and share information in the coming months on how they are leveraging the potential of data to advance and achieve their objectives and respond to the expectations of traders, transport and logistic operators, and governments. Officials of the South African Revenue Service (SARS) last week attended a WCO workshop on the Data Model facilitated by Ms. Sue Probert and Mr. Giandeo Mungroo. The event, held in Pretoria, South Africa was sponsored by the CCF of China as part of the WCO’s Capacity Building endeavours to promote the adoption and use of customs standards and best practice amongst it’s member states. The workshop was requested by SARS ahead of new technical and systems developments and requirements informed by SARS’ new Customs Control and Duty Acts. Moreover, there are also political ambition to institute a Border Management Agency for the Republic of South Africa. All of this requires that SARS Customs has a robust electronic tool to assist the organisation in mapping national data requirements according to specific needs. Besides the use of a value added Data Model tool – GEFEG, it is imperative for the organisation to develop capacity in the knowledge and understanding of the WCO Data Model. SARS has successfully EDI (Electronic Data Interchange) for the last 15 years with various local supply chain trading partners and government agencies. Over the last few years SARS has been actively pursuing and promoting IT connectivity with regional trading partners with the express purpose to extend the benefits of eCommerce across borders. GEFEG.FX software is used to model data formats and develop implementation guidelines for data interchange standards such as UN/EDIFACT. It is a software tool that brings together modelling, XML schema development, and editing of classic EDI standards under a unified user interface, and supports the development of multilingual implementation guidelines. Version 3 of the WCO Data Model brought about a distinct shift towards an ‘all-of-government’ approach at international borders with the introduction of the GOVCBR (Government Cross Border Regulatory) message. The message and underlying data requirements facilitate the exchange of customs and other government regulatory information to support a Single Window environment. WCO Data Model not only includes data sets for different customs procedures but also information needed by other Cross-border Regulatory Agencies for the cross-border release and clearance at the border. 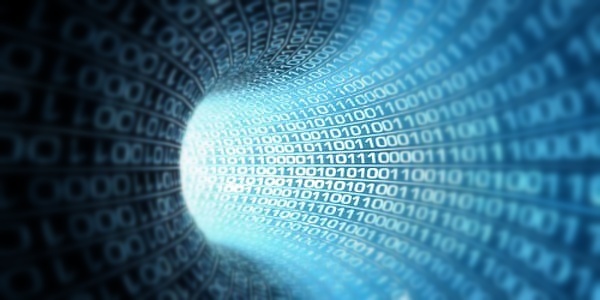 The WCO Data Model supports the implementation of a Single Window as it allows the reporting of information to all government agency through the unique way it organizes regulatory information. This instrument is already 10 years old and is seeing increased use by WCO members. Provide needed competence to develop, maintain and publish national and regional information packages based on the WCO Data Model. Pakistan Customs’ experts are in China to make further progress on the establishment of direct Electronic Data Interchange (EDI) with the trusted and neighbouring country to reduce the incidences of revenue losses. The sources told Customs Today that Chief Customs Automation Abdul Qadir, Director Majid Yousfani, Riaz Chaudhary and Azeem from PRAL flew to China on August 9 to hold series of meetings with the Chinese counterparts to make further progress on the EDI. The sources said, that the EDI will help access trade documents on real time basis from computers of cross-border customs stations. The directorate had exchanged the technical documents with China for EDI, the sources said, adding that the Chinese Customs had given feedback and counter proposal on the technical documents. In order to expedite finalisation of the EDI arrangement, earlier a meeting with the Chinese Customs for exchange of data relating to the certificate of origin between the two countries was held on February 2 to 4, 2015 in Beijing. And, this is the second meeting of Pakistan Customs officers with the Chinese Customs, sources added. It is recalled here, that Federal Board of Revenue had issued an alert regarding mis-declaration in imports from China under 50 HS Codes. The Board also showed concerns on the un-warranted concessions granted under various SROs covering preferential or free trade agreements. The Board had advised verification of suspected Certificates of Origin directly through the commercial missions of Pakistan abroad, discouraging mis-classification of goods to obtain concessions and extending benefits only to goods which strictly matched the description provided in respective SROs. It may be mentioned, that the export data of China customs for CY 2013 was cross matched with the import data of Pakistan Customs for same period and it transpired that in respect of 376 tariff lines the import value declared before Pakistan Customs was short by $2.437 billion recorded by China Customs as export value to Pakistan. In the past, nations with the best ships and ports were able to establish global trade leadership and the growth that came along with it. Today, global trade has gone digital. In the digital economy software-enabled products and services such as cloud computing and data analytics are the key drivers of growth and competitiveness. In fact, the world now invests more than $3.7 trillion (R40 trillion) on information and communications technologies a year. In South Africa, we spend $26 billion a year and the total for the Middle East/Africa region is $228bn. However, to maximise our return on that investment, it is important for policymakers to eliminate barriers that could inhibit the continued expansion of digital trade. It is clear that software-driven technology is transforming every sector of the global economy. For example, thanks to unprecedented processing power and vast data storage capabilities, banks can detect and prevent fraud by analyzing large numbers of transactions; doctors are now able to study historical trends in medical records to find more effective treatments; and manufacturers can pinpoint the sources of delays in global supply chains. Against the backdrop of this kind of innovation, any country that wants to compete in today’s international marketplace must have a comprehensive digital agenda at the core of its growth and development strategy. In addition to domestic initiatives such as investment in education and skills training, or development of information technology infrastructure, policymakers can succeed in laying the groundwork for broad-based growth in the digital age if they focus on three big priorities. First, any bilateral or multilateral trade agreement needs to facilitate the growth of innovative services such as cloud computing. As part of this, there should be clear rules that allow information to move securely across borders and prevent governments from mandating where servers must be located except in very specific situations. Second, to promote innovation and foreign investment, continued intellectual property protection is vital and the use of voluntary, market-led technology standards – instead of country-specific criteria that force firms to jump through different technical hoops every time they enter a new local market – should be encouraged. Third, all governments should ensure there are level playing fields for all competitors so customers have access to the best products and services the world has to offer. At the same time, disclosures about government surveillance programmes in the US and other countries have sparked a renewed focus on data protection and personal privacy. Those concerns are worthy of debate and careful reform. But it is critically important not to conflate separate issues: We can’t let national security concerns derail digital trade. There is precedent for navigating periods of change such as this in the global trade arena. Policymakers stood at a similar inflection point in the 1980s when they recognised the keys to growth in the coming decades would be intellectual property, services and foreign direct investment. With foresight and hard work, they updated trade rules in the Uruguay Round of multilateral negotiations to ensure commitments were in place to provide a check against protectionist impulses. Now, as governments pursue robust growth agendas for the digital economy, it is critical we modernise trade rules again. Source: The Software Alliance (South Africa). Representatives of the SACU member states recently met in Johannesburg to progress developments concerning IT Connectivity and Customs-to-Customs data exchange in the region. The session served as a follow up to the session held last year in February 2012 in Pretoria. The conference was convened by the SACU secretariat under the sponsorship of the Swedish International Development Agency (SIDA), and was once again pleased to have SP Sahu, senior technical expert from the World Customs Organisation, to facilitate the work session over 3 days. Representatives of UNCTAD ASYCUDA were also in attendance to observe developments. UNCTAD currently supports three (soon to be four) of the five SACU Customs administrations. The session provided an opportunity for delegates to progress this work as well as develop a terms of reference for an independent assessment of the two connectivity pilot projects that are currently being pursued between Botswana-Namibia and South Africa-Swaziland, respectively. IT Connectivity serves as a catalyst for various customs-to-customs cooperation initiatives seeking to bring about a seamless end-to-end flow of information between point of departure and destination. Some examples include export/transit data exchange, approved economic operator, commercial fraud, eATA and at least 5 other key areas of customs mutual exchange. The concept is driven out of the newly establish WCO model known as Globally Networked Customs (GNC). GNC was formally adopted by the WCO Council in June 2012 where a capacity building approach based on protocols, standards and guidelines (PSG) using utility blocks was recognised to provide the most realistic means to achieve efficiency gains, and a more effective way to manage the negotiation of international agreements between customs administrations. There exist several pilot projects across the globe wherein customs agreements are being piloted under the GNC approach. Development of a Utility Block and supporting data clusters for interconnectivity within SACU and the broader Southern Africa sub-region already commenced at last year’s session. The concept gained sufficient traction and was soon adopted by both SACU and SADC member states as the means to implementing IT connectivity within the respective regions. A review of the Utility Block and data clusters was conducted to ensure alignment of customs data requirements across the member states. The resulting product now provides a standard ‘data set’ which members agree as the minimum data required to facilitate data exchange and advance risk management needs. It covers export and transit declaration requirements. Two important criteria exist for successful data exchange and data matching. The first being the availability of appropriate legal provision for two countries to exchange data. The second requires the use of an agreed unique identifier. The identifier is important for Customs as well as the trade community. Delegates were also presented with current and future developments occurring at the WCO, in particular the on-going work being done to formalise standards for the “My Information Package” concept as well as the WCO Data Model, currently at version 3.3. Another interesting on-going development involves a unique Trader ID. Member states involved in respective pilot programmes are now preparing themselves for an up-coming evaluation, later this year. First came news from The Guardian that the NSA was collecting phone records from millions of Verizon customers under a top-secret government order: “The National Security Agency is currently collecting the telephone records of millions of US customers of Verizon, one of America’s largest telecoms providers, under a top-secret court order issued in April. Interestingly, most of the companies named are responding to requests for comment by flat-out denying awareness or involvement. According to The Next Web, Facebook, Apple, Google, Microsoft, Dropbox and Yahoo have all denied participation. PRISM reportedly began collecting data in 2007, which means it was introduced under President Bush. However, The Washington Post says the program has experienced “exponential growth” under the Obama administration. Video: The U.S. goverment is accessing top Internet companies’ servers to track foreign targets. Reporter Barton Gellman talks about the source who revealed this top-secret information and how he believes his whistleblowing was worth whatever consequences are ahead. 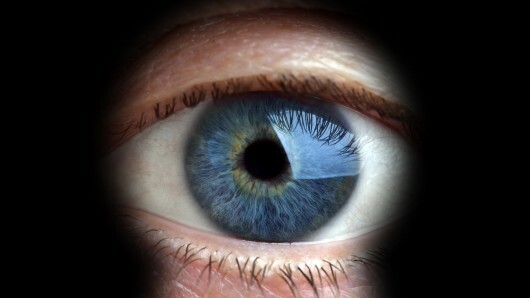 It shouldn’t be too shocking that the US government spies on its citizens. What may be more surprising is just how far-reaching, and possibly unconstitutional, this program is. Perhaps the most significant part will be the fallout now that the secrets are out in the open. Recent developments concerning customs data exchange via “cloud-type” mediums will therefore come under more scrutiny given current revelations in the US. It serves little purpose for countries to agree on data confidentiality and unwittingly (?) make such data available for ‘harvesting’ via third-party technology providers. Let this come as a fore-warning to governments. Sources: The Guardian, The Washington Post, The Next Web, and Gizmag. 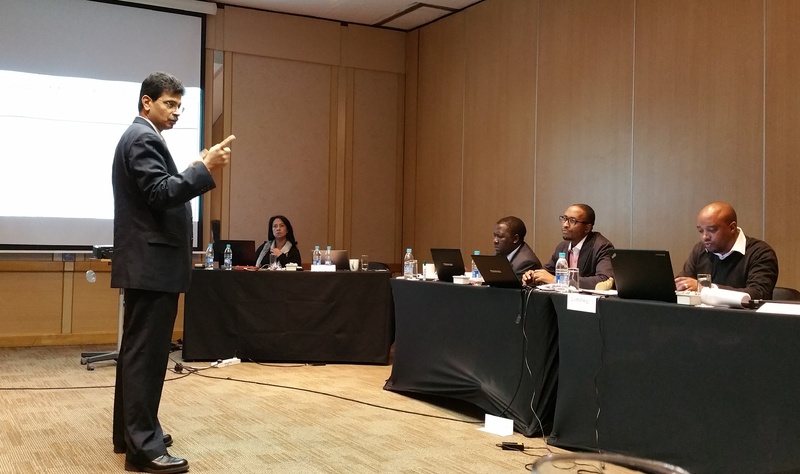 Guilherma Mambo presenting the Mozambique Single Electronic Window at the SADC ICT Conference, in Mauritius, 2012. Guilherme Mambo has just been appointed Director General Mozambique Customs on the 10th May 2013. Until then he was Board Director of MCNet – Mozambique Community Network the PPP responsibly for implementation of Electronic Single Window for customs clearance in Mozambique where he were responsible for implementation and operations. 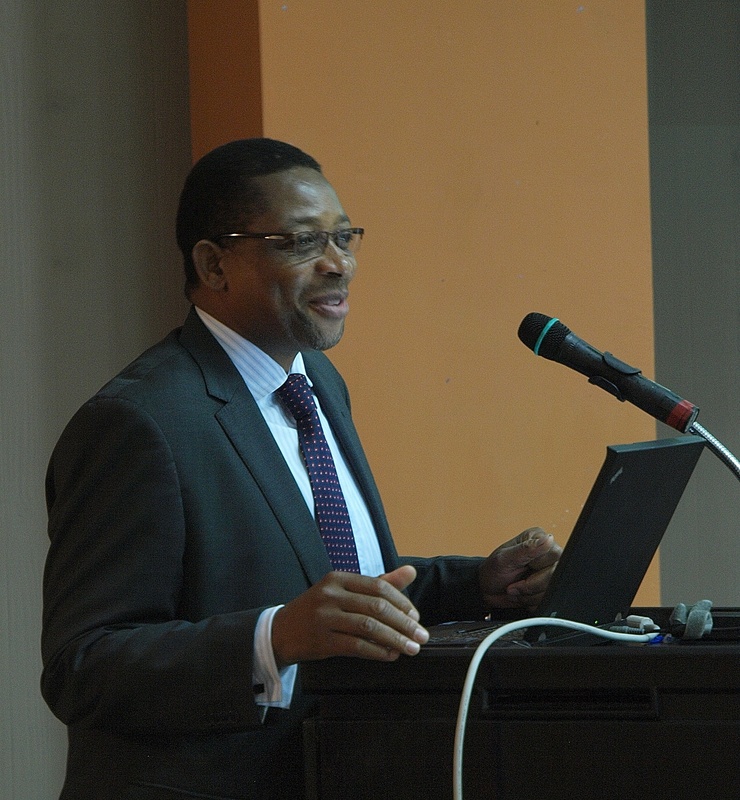 In recent months he has lead Mozambique’s bi-lateral engagement on IT-Connectivity and Data Exchange with his counterparts at the South African Revenue Service (SARS). For the past 10 years Mambo served as director IT Mozambique Customs and then for Mozambique Revenue Authority. On this role he participated in various modernization projects aimed at improving the business environment in Mozambique through improvement of public services particularly the complete organizational transformation of customs and internal tax areas. Prior to working with customs and MRA, he worked in aviation industry and a UN lead project in Chechnya, Liberia, Angola were he was exposed multifaceted international experience. As Director General – Mozambique Customs his responsibility is to manage the General Directorate of Customs (DGA) a paramilitary organization with around 2000 staff, one of the two major collectors of government revenue derived from external trade largely from customs duty, excise duty and the Value Added Tax (IVA). DGA is also a law enforcement agency that undertakes the control of imports and exports for the protection of revenue to prevent evasion of duties and taxes and assists in the promotion of the community’s well-being to prevent the smuggling of controlled, prohibited and restricted goods (such as illicit narcotic drugs and firearms). The Director General heads the DGA and his assisted by three Deputy Director General each of one have a specific area of responsibility. UCR and GS1 data to meet? GS1 is a non-profit organization dedicated to the development and implementation of global specifications to manage the supply chain, including product identification codes, barcodes and business-to-business standards for the exchange of accurate data. After longstanding cooperation at the technical level, the WCO concluded a Memorandum of Understanding (MoU) with GS1 in 2007 to formalize cooperative ties. At the invitation of GS1, the Secretary General of the WCO, Kunio Mikuriya, spoke at the GS1 Global Forum 2013 in Brussels on 18 February 2013 where he highlighted the increasing cooperation between the two organizations. Recalling the evolution of Customs with a heightened focus on data management for assessing risks in the supply chain, the Secretary General underlined the importance for Customs to explore the possibility of making use of supply chain specifications that are available in the trade, such as codes and specifications developed by GS1. He specifically referred to the new WCO Economic Competitiveness Package to explain how Customs contributes to enhancing national competitiveness by facilitating trade using a risk management approach. As this requires the application of information technology, data and message standards, and consignment identifiers, it is important to employ existing technologies and tools in the trade supply chain, through a partnership with business. Sharing a common interest in supply chain management, including track and trace systems, both organizations have been cooperating in many areas in a complementary manner, as the WCO facilitates Customs-to-Customs and Customs-to- business data exchange while GS1 also facilitates business-to-business data exchange. Areas of cooperation between the two organizations include the work at the United Nations Centre for Trade Facilitation and Electronic Business (UN/CEFACT) and the International Standards Organization (ISO) on standardization and specifications for supply chain management, the work on the Unique Consignment Reference Number (UCR) and the use of GS1 data for Customs risk assessment purposes. For more of the latest news and happenings at the WCO, please follow the news feed alongside (right). The African Union (AU) Technical Working Group on Interconnectivity has developed a ‘draft’ Strategy and Roadmap for Customs-2-Customs IT Connectivity on the continent. This strategy will effectively guide the process of the continental Interconnectivity of Computerized Customs Clearance and Information Systems in Africa. The ‘draft’ Roadmap envisages that the process of interconnectivity will take a period of 11 years with a total of four stages. Stage 1 – by 2014, National states should have engaged one another (within their respective regions) on the matter of Customs connectivity. Stage 2 – between 2013 and 2017, the AU has an extremely ambitious expectation that national Customs Administrations would have (at least commenced) if not completed Customs ‘connectivity’ within the various Regional Economic Communities (RECs) in Africa. Stage 3 – between 2017 and 2020, the suggestion that Customs interconnectivity will be occurring between RECs across the African continent – North Africa: AMU; West Africa: ECOWAS and UEMOA; Central Africa: ECCAS and CEMAC; East Africa: COMESA, EAC, IGAD; and South Africa: SADC and SACU. 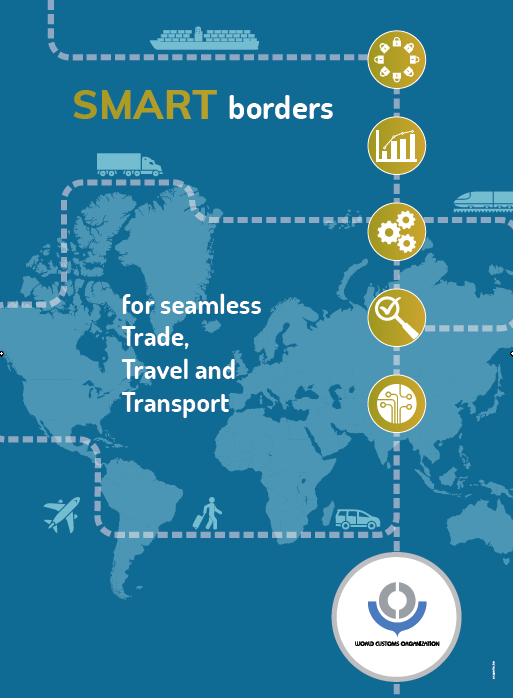 Stage 4 – between 2020 and 2025, consolidation of Customs IT-Connectivity across the RECs. The ‘draft’ Strategy spells out the strategic objectives and activities at the national, regional and continental level that will need to be taken for this to be realized. The strategy also indicates the roles of all the major stake holders in the process. This comes in the wake of several regional and bi-lateral initiatives to bridge the ‘cross-border divide’ through electronic exchange of structured customs information. All in all an ambitious plan structured to meet the equally ambitious deadlines of the coming into being of an African Union. The real challenge in all of this lies with the Member States in being able to set aside and commit to regional and continental ambitions, over and above the already pressing and complex national agenda’s of their respective sovereign countries. In context of the African Union, the multiplicity of RECs in themselves add a layer of duplication…..is an “integrated Customs Union” in Africa going to continue to permit the existence of the respective RECs or will they be absorbed into the African Union? Member states need to begin speaking up on this issue otherwise accept being swamped by onerous commitments. No doubt the ‘international donor agencies’ wait eagerly in the wings to capitalise on Africa’s deficiencies.